How do network leaders lead their employees? In network-like, fluid, or holocratic organisational structures, there is rarely a fixed leadership relationship between employee and supervisor; instead, leadership responsibilities are assigned on a project, task force, or even network basis. For this reason, traditional top-down methods no longer work. Instead, methods for building and stabilising networks are in demand. 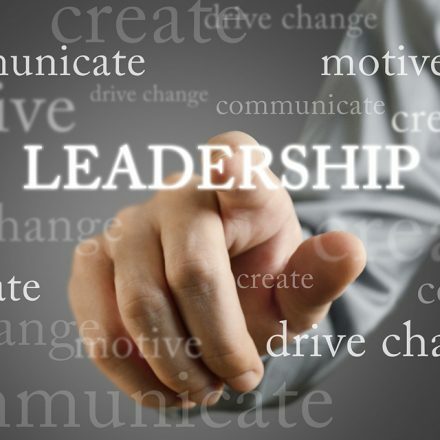 The currently best approach we have found is “Beyond Leadership”, an instrument proposed by Patrick Cowden, which exactly fills the vacuum in management methods for network organisations. Patrick Cowden, former CEO of Dell Germany and former European head for Hitachi, left the rat race of the traditional CEO’s career because he realised that the management of large companies could not continue in the same way. He had seen how many corporate leaders were at their wit’s end after decades of budget cuts, restructuring, job cuts, and motivation campaigns and were no longer able to mobilise their employees to put in their best efforts at planning and implementing long-term goals. Instead, more and more time and energy is being invested in ever more narrow budget details, process optimisations, and delineating departmental boundaries, while actually achieving the exact opposite. Patrick Cowden personally experienced what happens if you focus more on tools and processes than on people. That’s why his book, the management book of the year in 2013, was called “Restart” in German. Those who still have doubts that we need a new start in management in order to continue to be successful, need to read this book. His solution is based on the idea that people achieve more together if they are not working next to each other or with each other, but instead FOR one another, if they feel connected to each other, and if they are committed to jointly agreed goals. The infighting and selfishness described above have no chance if the employees have such ties. Cowden calls it “the power of connect”. This is not a novel thought. We are already aware of it from the various team-building tools, such as exercises to get to know one another through rappelling on zip lines. All of these methods work well, but are not really sustainable in most cases because they are not sufficiently integrated into the actual day-to-day worklife. “Beyond Leadership” combines the lessons learned from good team-building approaches with the concepts of trust-based management and positive leadership. PreviousPrevious post:Working Better is Working SmarterNextNext post:Where did the word ‘digital’ come from, anyway?